An innovative new start-up from the Middle East is set to go global with its driverless electric pods after receiving a $350 million cash injection from investors. Experts are hailing the designs, produced in collaboration with a Californian-based firm, as the answer to traffic congestion. This is a bold idea that could change transportation not only in the Middle East, but every major city across the world. Founded in 2012, Careem is now the Middle East’s leading car-booking app service. 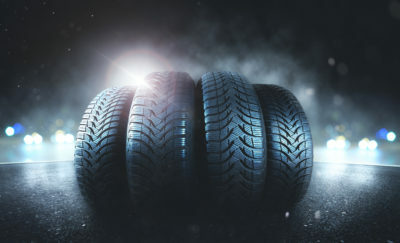 Its customer base is constantly growing across the Middle East and has expanded into Turkey and Pakistan. Its current six million users are growing at a rate of 30% a month. “This latest round of funding provides Careem with an opportunity to further expand and deepen our presence in the region’s markets,” Mudassir Sheikha, Careem’s CEO and co-founder, tells ZDNet. “Most importantly, the knowledge and global expertise that these strategic investments bring will allow us to accelerate our technological innovation, including the rollout out of our driverless electric pods, which are set to hit the road in Dubai shortly, and help move us further along in our mission to establish Careem as a center of excellence for research and development,” he adds. Careem is now been valued at over $1 billion and has received funding from US-based firms; DCM Ventures, Coatue Management, Kingdom Holding Company and Daimler. 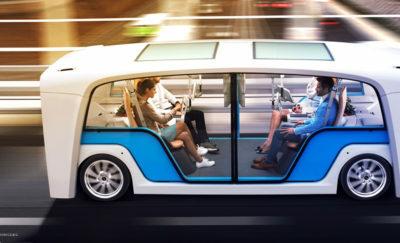 The firm’s driverless electric pods will be produced in collaboration with the Californian based NEXT Future Transportation, which aims to bring self-driving technology to the Middle East. The company has made a bold statement, that by 2030, a quarter of all journeys within the nation will be taken in driverless cars. 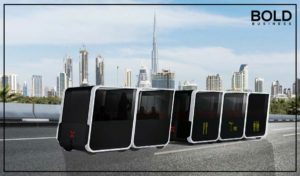 “The introduction of these driverless pods will revolutionize urban transport in the region, creating an efficient, safe and environmentally friendly mode of transportation where passengers can be picked up on demand and dropped off to different locations,” Sheikha tells ZDNet. “Building our research and innovation capabilities is a focus area for Careem, and we’ve been investing big in the development of autonomous cars, which we believe will shape the future of surface transportation,” he adds. Careem’s services are also integrated with Google Maps, and they have signed a contract with Digital Barriers for a new facial recognition software to identify drivers and passengers inside the pods or cars. The company is certainly forward-thinking. Bold Business recently reported how self-driving technology is becoming more widespread and growing around the world. The technology is becoming more advanced thanks to companies like Alphabet. Alphabet’s Waymo is being tested more often and for longer hours compared to other autonomous vehicle manufacturers. BMW, Ford, and Nissan are also perfecting autonomous vehicle systems, as are Uber and other leading tech firms. The race to produce the best driverless car technology is becoming bolder, and the technology is already hitting the streets in cities right around the world. What Would You Do With Hands Free Driving Time?